TheoLt Release 10 host just been updated to support BricsCAD 18. A new download will be available shortly. If you are using BricsCAD 18 now, please contact us..
TheoLt Release 10 is GO! Watch this space for full details of the updates, the improvements and how-to’s ! Existing users should contact us now for update details. TheoLt, TheoLt Contour and TheoLt Tools now improve the productivity of BricsCAD to V17 and AutoCAD to Release 2017 for anyone using Total Station, Laser Distance Meters or Laser Scan Data for the productions of plans or elevations. No, we do not post often enough here. No, we do not update our site enough. Yes we need to work on this. However you can be sure when we do post, it is important, it is interesting and it is new! In this case what is new is TheoContour R10! Its just a week or two away – we are just finishing off the installer and testing the installer. New licensing System (easier to use, more reliable, better trial options). New Surface Creation Options with user definable colours. For this release our core aim has been to Streamline the Product Structure, User Interface and Settings. This is a release that has been a very long time coming but is one in which we are very proud and we believe offers a base to develop the survey tools much further than before. A brief outline of the update follows with each module to be further detailed in posts over the coming days. Vastly improved User Interface with “Orientation Wizard”. Pro: Un-occupied stations may now adjusted in Network via “data-augmentation”. Increased instrument library matching the latest offerings. Consistent Settings across ALL modules (Core, ARX’s, Contour & Office). Support for BricsCAD V10 to V15 (including 32 and 64 bit where appropriate). Support for AutoCAD 2007 to 2014 (including 32 and 64 bit where appropriate) . New streamlined and consistent command set. Vastly Improved features library with far more power and customisation than before. 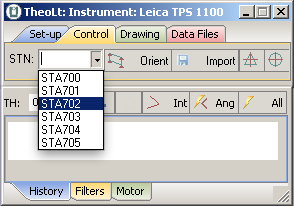 theoDoor and theoDoorAlt commands allow 2 types of doors to be configured and access from the toolbars. Improved Menus and menu loading (with Arx auto-load). Contour now included in all versions. Contour settings and mesh now persist through save and loading of drawing file. Multiple mesh (TIN’s) per drawing now instead of just the one. 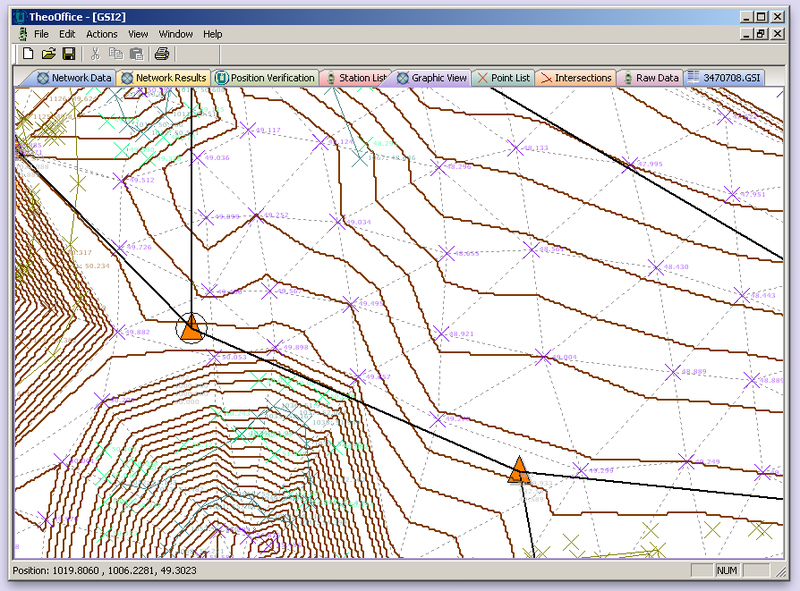 Added, import of “level” files (gridded heights such as Nextmap). 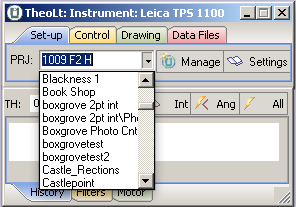 Apply default coding to all points in a text data file. Network adjustment updated to match Core. Calculate Mesh and contour lines from points marked as “contour points” (via code list). Export Mesh and contours to CAD (faster workflow). More consistent zoom and pan. If you have any questions or would like to discuss these updates, please do not hesitate to contact us: sales@theolt.com . With a new streamlined interface and a whole set of powerful new commands including a hugely customisable Feature Library, Release 9.0 is just around the corner. Watch this space! Webinar introducing functionality of kubit VirtuSurv, high resolution scan data in a simple to use, virtual surveying environment. 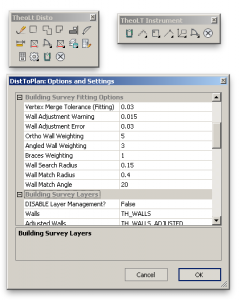 Connect to any CAD interface including AutoCAD, AutoCAD LT and IntelliCAD. Connect to any Windows based program (Excel, Word and more). 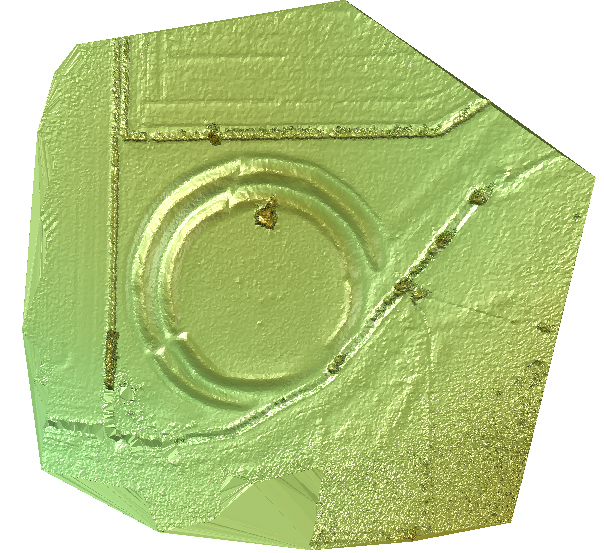 Make use of 3D laser scan data without the need for a high level of technical skill. Perform traditional survey from your office. Tablet PCs come and tablet PCs go but the problem of the field PC remains the same. What we need is a reliable, daylight readable and portable device that will run CAD all day long so that we can see what we are doing as we do it. Not much to ask, and as the tablet wars hot up things should be getting better for the practitioner.My workhorse is the Motion Le1600 which will run most of what I need, will power up all day long on 3 batteries and has a just about daylight readable screen. We have been friends for years. We get on. There is nothing wrong with it, its a great teaching tool, but it’s too long in the tooth to hold up AutoCAD 2012 or Windows 7 so well…and it’s starting to feel heavy compared to some of the newer kit that’s begining to appear. Its logical replacement is the Motion J3500 but, being of reduced means, I have decided to look at what can be done at the budget ‘netbook’ end of the market and this is where I met the remarkable CL900. Suddenly, after using these things for years, there is a rash of apparently cheap Android/ Ios/HP OS tablets available on any high street (well retail park anyway) for well less than a grand. Having tried to do something useful with the beguiling iPad I feel I have learnt the ‘if it isn’t Windows…. it isn’t Windows’ (or to put it another way if you can’t run proper CAD on it it’s an expensive door stop) lesson the hard way. A quick look at what you can run on an Android unit and the lovely cheapness doesn’t look so good.So if I have to lug a tablet around the world (and believe me, I do) what do I expect it to do? The essentials are CAD, Bluetooth, Serial Comms (USB or Dsub9) email and internet, I also need to be able to write reports, read and write PDF, handle images to a degree (more on this later) and present PowerPoints. It may well be madness to expect the Intel Atom (even at 1.5Ghz with 2GB of ram?) platform to manage all this so let’s start with getting to grips with CAD on a netbook- can it work? With only 1.5Ghz prosessing speed and a max of 2GB ram you would think any current release of CAD (they only get bigger and slower don’t they!) would be a non-starter on the CL900- but if all you neeed to do is build wireframes and line drawings current release BricsCAD v10/11 holds up well ( yes it’s a bit slow to start…nothing new there!) and so I’m all set to find out if it will do a good days work. As you would expect with a light weight processor and solid state HD package power uptake is good and the battery warnings don’t begin to bleat until at least 8 hours runtime! 3 stations and 1137 points plotted into CAD and 49% battery left on its first field day is a very good result…I’m begining to like this! The battery life for field survey is very good indeed. We did a full days worth and didn’t need to deploy the external battery pack: with a Powerbank MP3450 a comfortable 10 hours runtime should be easily achievable. The outdoors screen view is ok, its not the best but its workable. CAD runs ok if you accept its going to be a bit laggy with regens, opening up and the obvious graphics grief with image files. Now the other stuff I want it to do…. I can’t expect this little chip to push photos around in Photoshop so I have installed ‘Advanced JPEG Compressor’ to get the basics of crop and web-ready done. It’s very efective and reasonably priced too. Writing reports is just about doable in Word (the old hardware of keyboard & mouse wins really and the single USB port is a bit of a handicap here). Camtech supplied the CL900 and are most helpful with technical support so far (which has involved testing removal of the Ntrig interface for me: a potentially risky manoeuvre in the 1st instance). So if you want a field tabet that will run TheoLt all day long the Motion CL900 is a good bet, its not lightning fast but it does the job. It’s light, well made and is a good example of a ‘Windows ipad’ (aWipad?) -Steve Job’s legacy may yet be a wide acceptance of the tablet form-something I believe needs to be a bit more than a locked down content browser, the CL900 isn’t quite an ipad for windows but its very close. Front, Back, Left or Right side alignment for default orientations (elevations). Expansion of the BricsCAD tool set. Support for “step and repeat” inserts in features. Flip inserted features in 4 directions (aleviating the need to always choose the same point for insert). Following on from our previous post announcing PhoToPlan Release 7, here is a video showing the new unwrapping function introduced in the “Ultimate” version. Please contact us for more information.